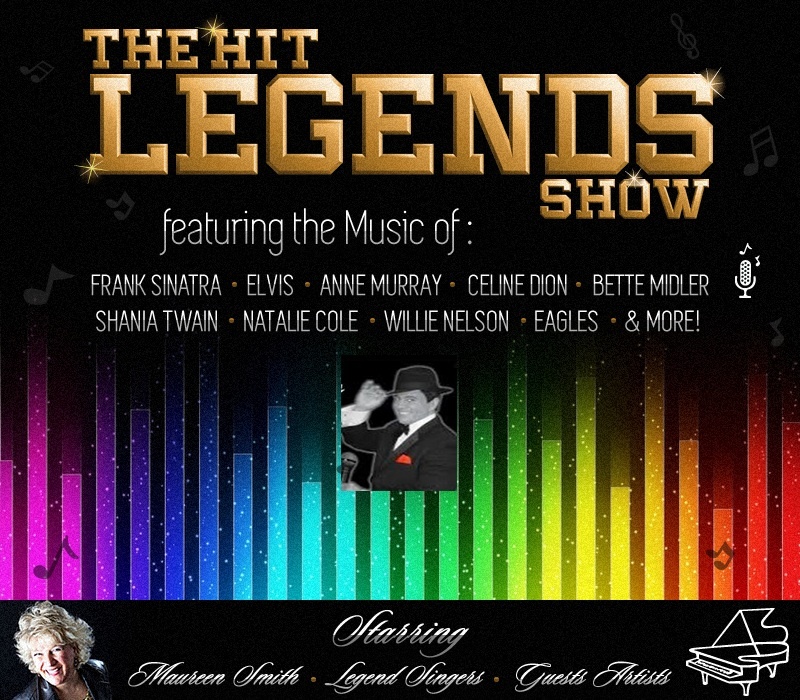 The HIT LEGENDS SHOW, features the music of Frank Sinatra, Elvis, Willie Nelson, Anne Murray, Bette Midler, Celine Dion and more! Starring Maureen Smith, legend singers and guest artists! A great evening of spirit, Christmas Music, entertainment, buffet dinner and beverages for your local busines. Book a table and treat your employees to a wonderful Christmas party and night out during the holiday season . 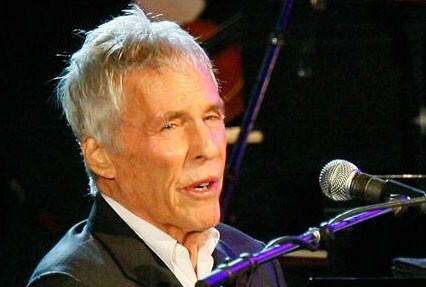 Burt Bacharach is an American pianist, songwriter, composer and record producer. A six-time Grammy Award winner and three-time Academy Award winner, he is know for his popular hit songs and compositions form the 1950s – 1980s, many with lyrics written by Hal David his duo partner. GO FOR IT! Imagine… Dream… Pray… Play… Succeed! A unique healing and inspirational CD, captivating a universal thread of inspiring lyrics, reflecting on native spirituality, the laws of nature and world religions; combining easy listening, pop, country, native styles and instrumentation all in one! Soothing, relaxing and upbeat! Maureen Smith is a Toronto based Canadian pianist/vocalist, recording artist and songwriter, with an extensive performing career as a solo pianist /vocalist. She’s performed on cruise ships, in hotel piano bars, restaurants, independent film, corporate functions, & many private events. Often named “Miss Liberace” when performing a large repertoire of cover tunes from jazz standards, country, top 40, easy listening, rock n roll, classical standards and international favorites. “Spirit, Songs of Inspiration”, features 10 original songs with Maureen on Piano, Keyboard, Vocals, Guitar, Percussion, also Lenny Soloman, Violin, Ron Allen, Native Flute. Included is a unique rendition of “Air That I Breathe”, featuring Maureen on Piano. Pop/ Adult Contemporary Anna Voigt is a vocalist and song writer. Born in Przemyśl and residing since 1998 in the Nadarzyn suburbia of Warsaw, Poland. Having a rich repertoire of her own songs from the rock and pop-rock genre she is currently busy recording her debut album, soon to be released Fall 2008, and available for concerts and corporate functions in North America and Europe. Pop/ Adult Contemporary Janice Foster is a up and coming recording artist and songwriter from South Africa. Janice’s new CD is soon to be released with her latest songs featuring her great vocals, sure to make the charts! Currently being promoted on radio stations across North America, plans are in the process for Janice’s North American tour, coming in Winter 2008. Country Donna Ferra is a Canadian artist from Toronto, who made her debut with Waited Long Enough, and was nominated for several Canadian Country Music Awards. It features 10 original tunes, three of which Donna Ferra has written with the album’s producer Peter Linseman. The track, “Waited Long Enough’ was a hit radio single. Twenty one year old canadian dance-pop singer/songwriter and multi-talented performer and dancer, Amanda Morra is sharing her heart, soul and spirited grooves with the world on her new CD “ Amanda Morra ”. Amandaʼs CD brings a fresh new sound to the charts and airwaves! Featuring the tracks “One & Only” , “ The Spell”, “Better Days”, it is a mix of infectious dance hooks, rich R&B undertones, catchy lyrics and intimate ballads. Sure to captivate many audiences in the clubs , pop and dance scene! 30th YEAR ANNIVERSARY • #1 Disco Hit Worldwide 25 Million LP’s sold, 48 Gold, 42 Platinum Albums HIT SONGS: “Don’t Let Me Be Misunderstood” “ House Of the Rising Sun” “Gloria” “ You’re My Everything” “ Another Cha Cha” Santa Esmeralda is a U.S/French Disco group formed in the 1970s. Gospel / R & B Damien Carter, leader of the his band, Davine, is the star in an upcoming Sam Cooke movie, “You Send Me” in California. Davine is outstanding. They perform outstanding cover hits in additions to the Gospel / R & B songs of Damien Carter. He has a unique voice and style that captivates and moves his audience. He is often compared to the great legends of time past, Al Green, George Benson, and Sam Cooke. Davine performs regularly in California, and are available for corporate private functions, and concerts. Gospel / Christian A New Gospel Collection, Rather Be a Doorkeeper An upbeat and uplifting gospel collection of unique and inspiring music that will strengthen your faith in the Lord Jesus Christ. Producer and composer Gerard Powell features a distinctive collection of talented gospel vocalists, artists, and musicians who deliver the bible’s inspirational message. Irish Music Sensation Christened by The New York Times as “Irish America’s Favorite Son”, Andy Cooney has taken the Irish-American music scene by storm. His outstanding voice and dynamic stage presence makes him a favorite with audiences as he renders songs ranging from all-time favorites like “Galway Bay” and “Danny Boy” to his hit records “The Irish Wedding Song”, “Boston Rose” and “Shannon River”. Hip Hop/R & B Alyze Elyse has dominated the Billboard R&B/HipHop Charts with her 2 new debut singles for Twelve Weeks in the Top 10 and Two Weeks at # 3 back to back. Her Video can be seen on MTV Overdrive and She has impacted Several Markets in the US as well as the UK. Alyze Elyse is truly an inspiring and exciting artist on the rise. Watch for her new upcoming CD, “Innocent” this Fall, 2006. Greatest Gainer! HipHop/R & B ~ Hangout Records presents “Avenue 707, flooded with sizzling lyrics, jaw-dropping vocals, bringing the urban experience to life, the good, the bad, and the real! Steadily gaining radio airplay. Jayo has a great history as an Artist, sold over 2 million records, and 3 major soundtracks. He is a rapper from southeast San Diego. Hits include: “Nitty Gritty”, “Whatcha Gonna Do?”. Soon to be released, this Fall 2009 is his new CD – “Don’t Get Meat Balled” ! Reggaeton/ Latin/ Rap Still Alive has been doing Reggaeton and Rap for over 10 years with an origianl sound that combines Rumba, Hip Hop and Rap. Their latest CD Un Nuevo Estilo and videos are receiving rave reports! Featured single “Eres” is gaining steady radio rotation and great reviews. Buford Powers has revived an era in music that has slumbered for some time, and has now been re-awakened with his velvet vocalizations of timeless standards. His debut release \”Too Good To Be True\” invokes memories of a time past brought to the present by his unique musical interpretations. This baritone romantic is mature in his approach, and picks up the torch where luminaries like Johnny Hartman and Billy Eckstein left off. Buford Powers is most notably known for his romantic baritone voice, performing a wide variety of traditional jazz standards, hits from Tony Bennett, Frank Sinatra, and adult contemporary Pop Ballads. Eclectic was recently released in the USA. Buford Powers and his jazz trio, are now appearing in Oakland, California and available for corporate private functions and venues in the USA, Canada and Europe. With more than 10 albums, as soloist and as collaborations with other artists Yolanda Duke has demonstrated that she is a multifaceted interpreter who feel comfortable singing a variety of musical styles; from Merengue, Romantic Ballads, Bossanova, Salsa,Cumbias to Tango! This talent comes as a consequence of her having a privileged voice that knows very few limits, and from an immense confidence in her own talent that is prevalent in all she does. Yolanda Duke is best known for her success with NOSTALGIAS DE LA LUPE, her musical tribute to The Queen of Latin Soul,La Lupe, and for traveling the world as a guest artist of Tito Puente’s Latin Jazz Ensemble. R & B / NEO SOUL Kaylah Marin is a Neo Soul Vocalist, Songwriter and award winning Songwriter, for several film festival awards both in the USA and Internationally. She has scored music for the Award winning Documentary TEXAS GOLD, and several filmmaking achivements. She currently performs regularly in the San Francisco, California, with music from her new CD, “Making Life”. Watch for her upcoming tour and CD release in the USA this spring. Funk, Love and Soul Buffalo, New York based R&B artists began performing in small night clubs in Western NY in the late 70’s. The Exoutics became locally recognized after releasing the song “Here We Go Again” on their independent record label in 1978 climbing to number 12 on the local charts remaining there for 3 months. On tour now! A great funk, soul, blues band. Reggae Ras Midas has collectively sold over 750,000 records worldwide. His first international hit single was a Reggae Pop Beat release, “Kudea-A-Bamba”, recorded in English and Swahili for Island Records which sold half a million records worldwide. “Rastaman In Exile” earned album of the year in France in 1982 and sold over 150,000 copies worldwide. Internationally known singer/song writer and reggae artist, Jamaican born Ras Midas has professionally produced dynamic Reggae and Pop Music since 1974. Inspired by the overall acceptance of his music, Ras Midas has just completed his ninth album, “Reaching Out”. Featuring 15 new original tracks it blends the classic roots reggae sound with hip hop dance hall elements. Reggae Vernon Bourne aka “Singing Vernon”, The Quiet Storm, hails from the quiet, but beautiful town of Santa Cruz, Jamaica. He recorded his first song in 2004 on the “Outta Town Label” titled “Times Hard” featuring Tazmajor for Dudley Eulitt, he then recorded “Chiphop” and “Love is a Hurting Thing”. Since then Singing Vernon has recorded and released his debut album “My Mission” from which several songs are receiving excellent rotation on both local and international radio. “Life is like a river”, “Times Hard”, “Regge Bandwagon”, “Roxann” & “My Story” are just to name a few. Rock Jamie Gazelle has been an avid music lover and performer since the age of eight. He has formed and authored seven groups, all of various styles and performance levels. He has performed before large and small audiences across the USA. He loves to write poetry, lyrics for other peoples musical ideas and also composes music for his own pop and rock flavored anthems. Jamie Gazelle plays guitars, keys, bass, synthesizers, and a little on the drums. He also does the lead vocals and some other percussion instruments. He currently has around 425 finished songs and/or lyrics needing music. A band to back Jamie’s music is in the making and it will be sure to turn some ears. Jamie has lots of musical friends and associates across the US and they too are excited about the chance to help get this great sound out to the world. Rick is America’s leading and most respected Tribute artist in the country today. His tribute to Elvis is flawless and his admiration for the King is apparent to all that have seen him. Native Contemporary/Aboriginal Thomas B. Maracle is an award winning recording artist, musician, native stone sculptor and entrepreneur. Thomas is a Native North American Mohawk, born in Belleville, Ontario and a citizen of the Six Nations Iroquois Confederacy. He currently lives on the Tyendinaga Mohawk Territory near Deseronto, Ontario Canada. Thomas has just released his 5th CD “Dancing Spirits”. His previous work – “Spirit Land Band” won the Best Instrumental Album and Best Contemporary Album at the 2001-02 Canadian Aboriginal Music Awards. Thomas is currently working on his next album at SaTuneDaGa Studios. His CDs are distributed through gift shops and interactive displays throughout North America, Europe & Australia, and available for worldwide distribution. Native Contemporary/Aboriginal Different Vibes : A contemplative mix of traditional native music and contemporary jazz, for the quiet times of your life. Flute, contemporary jazz, traditional Mohawk song lyrics, blues and rock. Recorded at Sa Tune Da Ga Studios on Tyendinaga Mohawk Territory. This CD Features Thomas? brothers Jonathan Maracle and David Maracle. Native Contemporary/Aboriginal Spirit Land Band : Winner of Best Instrumental Album and Best Traditional Album/Contemporary at the 2001 Canadian Aboriginal Music Awards. An enchanting collection of original music featuring traditional Mohawk flute and Spanish guitar. Gil Pigers Spanish collection of favorite classics is tastefully arranged and fused with Latin, Jazz, and Flamenco styles to create a musical delight ! Mr. Pigers’ technique is flawless and clean, a virtuoso performance! In this international release, Thomas Merey , a classical guitarist and virtuoso recording artist, has blended a variety of musical influences into a uniquely relaxing and calming experience for the easy listener. “White on White” appeals to a wide range of audiences due to its universally pleasing melodies and harmonies that engender calm and joy. You Don’t Have to Read Music. Includes DVD and 8 Page Instructional Songbook. Step-by-Step! EZ Lessons! EZ Songs! Over 25 Songs! Easy Level 1 Harmonica Music Publishing Inc.
You Don’t Have to Read Music. Includes DVD and 8 Page Instructional Songbook. Easy Level 1 Harmonica Music Publishing Inc.
You Don’t Have to Read Music. Includes DVD and Instructional Songbook. Step-by-Step! EZ Lessons! EZ Songs! Over 25 Songs! Easy Level 1 Harmonica Music Publishing Inc.
You Don’t Have to Read Music. Includes DVD and 16 Page Instructional Songbook. Easy Level 1 Harmonica Music Publishing Inc.